Public procurement; public-private partnerships and privatisation; public service delivery management; public financial management; European economic and monetary union. Michael Burnett, a UK Chartered Accountant, was educated at Warwick University (United Kingdom) and Amherst College, (Massachusetts, United States of America). A former Assistant Director in KPMG UK’s Government Services Division, he is a UK Chartered Accountant, member of the Chartered Institute of Personnel and Development and of the Chartered Institute of Purchasing and Supply. He has more than 20 years public sector management experience, working in 27 European countries and as adviser to the European Commission/national/sub-national governments. He is currently directing EIPA’s international training programmes in Public-Private Partnerships (PPP) for European public officials addressing PPP-related legal, commercial and operational issues, including using EU Structural and Investment Funds, via EIPA’s European PPP Forum, which he founded as a community of practice for PPP issues. He has worked with key actors such as DG Growth, DG REGIO, DG MOVE, DG ECFIN, European Parliament, European Investment Bank, European Court of Justice, Trans European Networks for Transport Agency (TEN-T Agency), Committee of the Regions, IMF, UN Economic Commission for Europe, UNCITRAL, World Bank and national/sub-national governments (including national/sub-national PPP units, service providers, lenders and professional advisers). More than 15 years practical experience of PPP/public procurement across Europe, including managing procurements for local/central government and the EU, working for a service provider to the public sector, procurement training for procurement officers/auditors and expert adviser to state auditors on EU procurement issues. As seconded expert (e-business projects) to DG Enterprise (European Commission). Three years as head of a UK government health sector training agency (public-private sector joint venture). 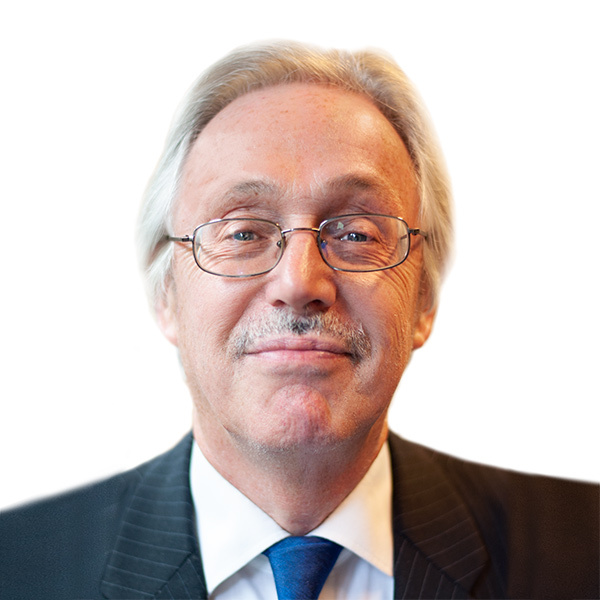 He was a member of the European Commission’s Stakeholder Expert Group on Public Procurement from 2012 to 2018 and has also been a member of the Editorial Board of the European PPP Law Review since 2007. He advised MEPs during the revision of EU Public Procurement Directives (2000-2004) and has been an expert witness in the European Parliament’s Internal Market and Consumer Protection Committee hearings on the EU public procurement regime (2006), pre-commercial procurement (2008) and the Concessions Directive (2012). In 2011 he contributed written submissions to consultations by DG Internal Market (public procurement reform) and DG ECFIN (Europe 2020 Project Bond initiative) and follow up meetings. He has published widely on public procurement and PPP. His latest books are “Competitive Dialogue and Negotiated Procedures – A practical guide (2nd edition)”, published by EIPA in October 2015 (with Martin Oder), “Competitive Dialogue – A practical guide” published by EIPA in January 2010 (with Martin Oder) and “PPP – A decision maker’s guide”, published by EIPA in September 2007. He was also a Theme Leader in EIPA’s European Public Sector Awards (EPSA) in 2009 2011, 2013, 2015 and 2017 and is Project Manager for EPSA 2019. He was contributing author to “EPSA Trends in Practice – Driving Public Sector Excellence to Shape Europe for 2020” (EIPA 2011) “Public Management in the Twenty-first Century – Trends, Ideas and Practices”, (Universitetsforlaget Norway 2013) and (with A Heichlinger) to “Taking the pulse of public administrations”, (EIPA 2009). He was co-editor and a contributing author of “Weathering the Storm: Creative EPSA Solutions in a Time of Crisis “(EIPA 2013) and “The Public Sector as a Partner for a Better Society” (EIPA 2015), was an Expert Adviser to the European Cities Economic and Financial Governance Group (2014-2015) and currently also leads EIPA activities in budgeting and public financial management. Burnett, M., Bosse, J., Rongione C. and Scholtens, H. (eds.) (2017), An Innovative Public Sector in 2017. New Solutions to Complex Challenges, EIPA 2017, 98 pp. Burnett, M., Bosse, J., Møller Nielsen, S., Rongione C. and Scholtens, H. (eds.) (2015), The Public Sector as Partner for a Better Society, EIPA 2015/02, 126 pp. Burnett, M. (with Oder, M) (2015), ‘Competitive Dialogue and Negotiated Procedures – A practical guide’ (EIPA). This book is exclusively available by attending the Masterclass. Burnett, M., Bosse, J., Heichlinger, A., Rongione, C. and Scholtens, H. (eds.) (2013), Weathering the Storm: Creative EPSA Solutions in a Time of Crisis, EIPA 2013/02, 114 pp.